COLUMBIA, Mo 2/19/18 (Op Ed) -- It's happened again. And much of the gun-control debate is now centered on banning the weapon du jour of mass shooters in America, the Armalite Rifle model 15, or AR-15. America is awash in AR-15 rifles, AR-15 pistols, folding AR-15s, pistol caliber AR-15s, and every imaginable stock, optic, light, laser and even silly accessory. Millions of AR-15 rifles are in private hands, with millions more high-capacity magazines, and billions of rounds of ammunition. Widely used in competitions, collections, and recreational firing, only a very small percentage of AR-15 rifles will kill innocent people, in mass shootings or otherwise. But both sides of the gun control debate are arguing the merits of bans and other legislation, and it saddens me that many passionate advocates can’t seem to have a civil discussion. Call me a realist. I have been in law enforcement for nearly 30 years, and that experience weighs heavily on my thinking. I have more empathy than I ever have for those in favor of a ban, and admire their passion for believing in what we all want, fewer deaths in America by firearms. Tragically, however, mass shootings will continue, despite laws that somehow make many people feel as if something has been done. I can't envision an effective ban on firearms mainly for their durability and number, in a nation aggregating them since the 1780s. Other things America has tried banning -- alcohol, drugs, and tobacco -- are perishable, gone once consumed. A firearm of any kind will last for hundreds of years with even basic care. So will properly-stocked ammunition and magazines. A major logistical problem with banning a particular firearms mechanism is that the language may unintentionally prohibit hunting rifles, pistols and shotguns that share the same mechanism. Components such as bump stocks -- which allow a semi-automatic weapon to mimic the automatic version -- are even more problematic. A belt loop can function as a bump stock. The semiautomatic rifle has been around since the turn of the 20th Century. The main rifles used in WWII were semiautomatic. The M1 Carbine and M14 debuted in the Korean and Vietnam wars. The M14 and M16 rifles were "select-fire" for the military, meaning the operator could select between semiautomatic and fully automatic firing at will. Eugene Stoner designed and engineered the AR-15 in the late 1950s and early 60s. The United States military adopted it during the Vietnam War. It goes by various names, and M16, or M4 are the generic terms for its automatic fire-capable platform. In its select-fire form, the AR-15 is the most popular and ubiquitous firearm in the armies of the free world and American police, who mostly use semi-automatic fire variants: one round fired for each trigger pulled. As goes military and police weaponry, so goes the affinity of the American civilian for like versions. Its versatility and ubiquity has made the AR-15 arguably the most popular rifle for the average civilian American gun owner. Private citizens can buy the AR-15 in kit form, assemble it in their homes, and make their own ammunition by buying components, bullets, powder, primers and shell casings separately. Every major firearms manufacturer in the free world manufactures the AR-15: Sturm, Ruger, Colt, Remington, Smith & Wesson, Fabrique Nationale, SIG-Sauer, Heckler & Koch, and dozens of smaller manufacturers like CMMG, Inc. in Boonville. Midway USA, a major Columbia-area employer, is a major distributor of shooting and hunting gear. Construction of a half-million square foot distribution center (the size of two Walmart Supercenters combined) is underway in northeast Columbia by the parent company of Smith & Wesson, American Outdoors, Inc. The center will move a tremendous number of Smith & Wesson AR-15s to the public. The Federal government tried an "assault weapons ban" from 1994 to 2004, after which a sunset clause ended it. During that decade, certain guns, high-capacity magazines, and cosmetic features that had nothing to do with the semiautomatic firing mechanism were illegal for private use, including flash hiders, bayonet lugs, pistol grip handles, and collapsible or folding stocks. In response, companies manufactured modified rifles absent the banned cosmetic features, but with the same degree of lethality as before. Not one rifle nor magazine, meanwhile, was confiscated. And I am unaware of a single Federal prosecution for possession of a high-capacity magazine manufactured after the ban. On both sides of the gun-ban debate, most would admit to the lack of positive impact intended by the law. Still, after every shooting, a hue and cry goes up for more legislation with more teeth. Among the most common arguments for gun control laws are comparisons of the US to foreign countries, made specious by the apples-and-oranges nature of laws and cultures. To compare the United States with Japan, for instance, is folly because in Japan’s history, private possession of most firearms has never been allowed. Guns, in other countries, just aren’t there. Americans, on the other hand, have implicit and explicit freedoms other nations don’t enjoy. Our revolutionary history, Civil War, and Second Amendment have all contributed to a love affair with guns that cannot be compared with anywhere else on Earth. Ever since Cain picked up a rock, humanity has sought ways to prevent our oldest crime, often by criminalizing the tool. But tools don't a murderer make. I don’t know much about the Parkland, Florida shooter, but apparently the warning signs about his dangerous proclivities were billboards with neon lights and lasers. The FBI appears to have dropped a large ball which goes directly to US treatment -- including isolation -- of the mentally ill. The human being is a cunning and complicated animal. The inherent difficulty in preventing terror or treating mental illness beforehand is the real challenge, and why legislative action on the inanimate object is so much more appealing. 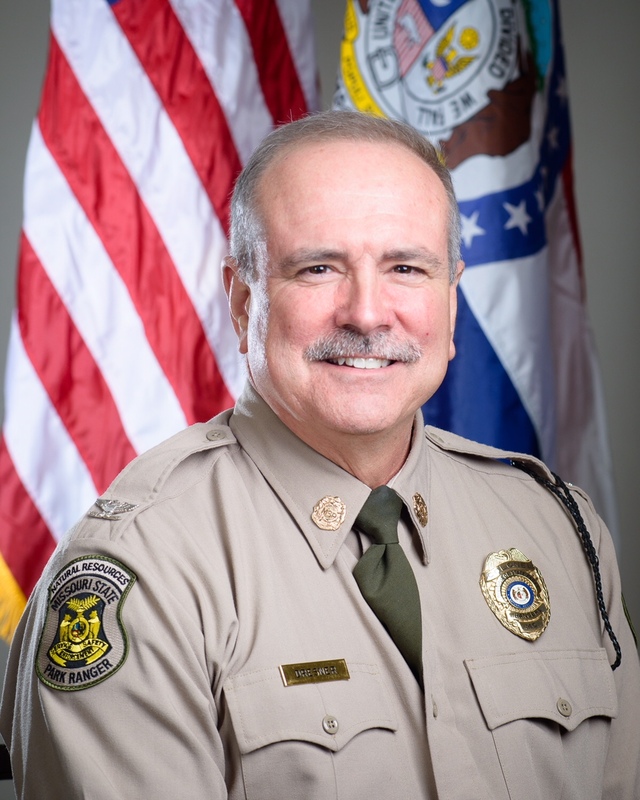 -- The Chief Ranger for Missouri State Parks, Tom Dresner is a veteran law enforcement officer who served as Sergeant, Captain, Deputy Chief, and Interim Chief in the Columbia Police Department. He posted an earlier version of this piece on Facebook, and intends to tackle the social and cultural factors that produce the minds capable of mass murder in a subsequent piece.